Text: Alan Bulmer Featured image: Al Barnes. One of the most important skills to learn as an angler is peripheral awareness. That is, training yourself to spot things in your peripheral vision which alert you to the movement of actively feeding fish. This was brought home to me yesterday when I was on the flats with another experienced fisherman. During the course of the session I managed to spot two brief workups out of the corner of my eye that my colleague was oblivious to until I pointed them out. The first was almost certainly a kingfish attack as the splashes were large and clearly visible even though we were 750 metres away. 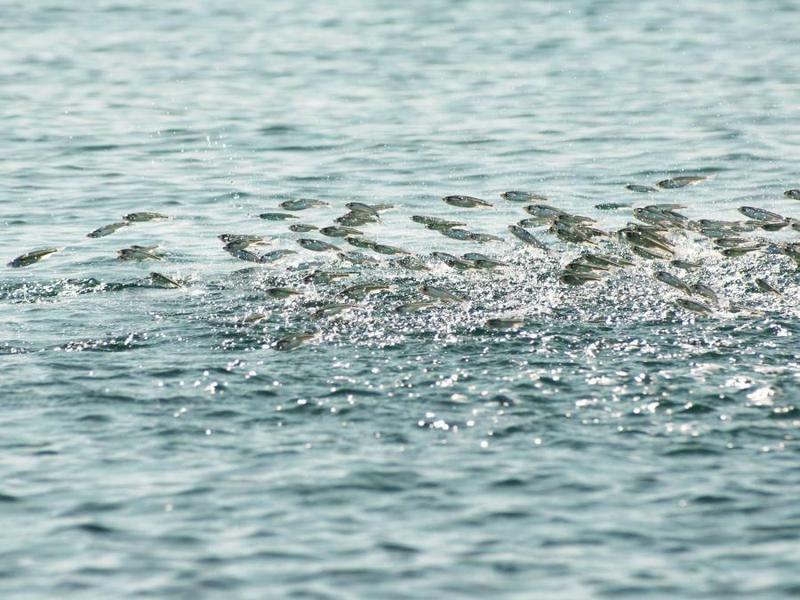 The second, which was much closer, involved several kahawai herding baitfish against a draining sandbar. Both were potential opportunities to exploit and although they were fleeting they did reveal where the fish were active. “Peripheral vision is what you are able to see outside of the very centre of your gaze. The centre of your gaze is called foveal vision and basically when you look straight ahead at a long distance object you use your central (foveal) vision to focus on that object. Everything else is your peripheral vision. 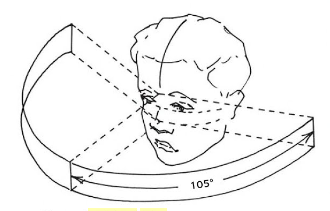 The numbers vary, but according to studies conducted by NASA, an individuals peripheral vision extends to about 167 degrees with the head and eyes fixed. If the subject rotates his head and eyes that vision extends to an amazing 237 degrees, allowing him to literally see behind himself. You can quickly gauge your own peripheral vision by looking straight ahead at a fixed point on a wall at eye level. Extend your arms straight out from your sides and point your fingers. If your arms are extended straight out at your sides that is 180 degrees. Can you see your fingers? If not, bring them in a little toward the front. Peripheral vision, also called side vision, is good at picking up movement but poor at picking up colours. This is a function of how the eye is built. 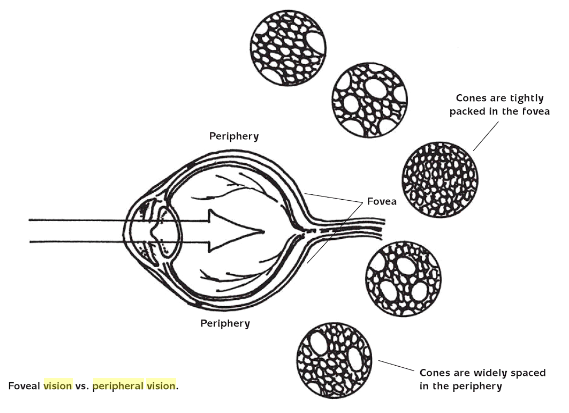 The retina has two types of photoreceptors, rods and cones. Cones, which are densely packed in the centre of the eyes pick up colour. Rods which are denser outside of the central part of the retina are responsible for night vision, motion detection and peripheral vision. We use our peripheral vision every day. For example, merging into traffic or spotting glimpses of things that pique our interest. Since the number of rods and cones is fixed we probably cannot improve our peripheral vision but we can learn to use it more efficiently. What does this have to do with fishing? Several things. Instead of just looking for clues in the water right in front of you, develop your peripheral vision and you can extend your viewing range significantly. You may not be able to focus on something that you see out of your peripheral vision, but if you have a wider field of vision, you will see, and therefore filter, a wider range of clues. Additionally motion, which is one area in which peripheral vision excels, is one of the best ways to spot fish. Trout (this applies to all fish) are always moving some part of their body – whether aggressively to take food, or subtly to hold their position in the current. Just as when you are driving down the road taking in a wide range of visual clues in front of you, such as exit signs or brake lights, and to your side, such as other cars in the next lane, you need to capitalise on your entire field of vision. Tunnel vision is the medical turn for the loss of peripheral vision and it is often used as a metaphor to describe someone who is so focused on one thing that he ignores everything else. Not a good thing when you are searching for trout. Only when you have selected your target should you focus on it and not pay attention to other things, which at that point have become a distraction. After finding a fish I don’t stop using my peripheral vision. I continue to look through the water to focus on the river bottom, keeping both the fish and the fly in my peripheral vision. Only after the cast do I switch my focus to the fish. One of the best ways to practice identifying movement with your peripheral vision is to find a distant object in the river and practice using your side vision. While keeping your eyes centred on the object, try to see other objects upstream and downstream out of the corners of your eyes. 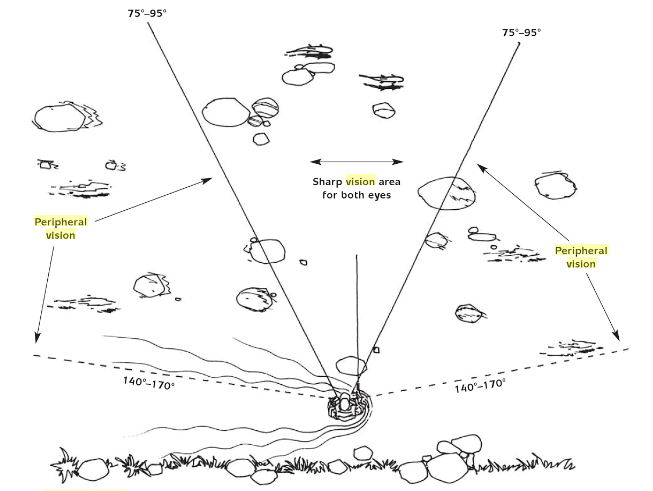 Do this every time you go fishing, and every time, try to increase your range of view. Over time you will see other parts of the river in your entire field of view and you will be more efficient at hunting fish”. There are a couple of things that I’d like to Mayer’s comments. Firstly, the longer you stare at an object the less effective your peripheral vision becomes. The lack of eye movement means that you tend to stare using only your central vision. The solution to avoid tunnel vision is to keep your eyes moving (scanning) as you look for fish. By scanning with your eyes you avoid focusing on one object for too long. You also utilize your peripheral vision by increasing your viewing angle and increasing your chances of seeing objects outside your focal point. The other thing that is critical is to learn how to identify non fish objects such as rocks, submerged vegetation, logs and weed beds. The better you are at this the easier and quicker scanning becomes. I like to use the two second rule. When scanning don’t focus for more than two seconds on one particular object. Move your head slowly enough so your eyes can adjust. Once you come across something that looks fishy use your central vision to bring the object into focus. By combining your central and peripheral vision you can cover more area and maximize your chances of seeing every detail. This is an essential skill when hunting for fish. The final point to make is that if your eyes become sore (particularly after stalking a fish for a while) look at something scenic such as an open span of water or a mountain. This way you give your central vision a rest by not focusing on one particular object.